We have had a busy week with our culmination to today’s “I’m lucky because…” activity. It is an extension of our Look for the Good campaign. 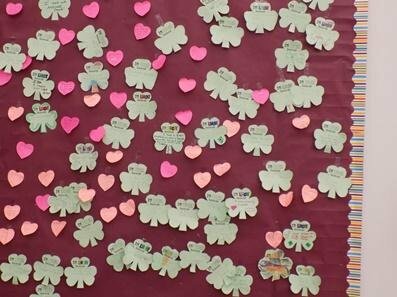 Students finished the statement and then posted their shamrocks on our campaign wall in the cafeteria.